It was apparent the OBL was intent on learning about his enemy. The Al Qaeda leader also recognized the need to appeal to emotions and to understand ‘how’ his enemy felt, which is not the same as knowing about the events and experience that influences the enemy. Life long learning is part of the PSYOPers stock in trade. We need to keep abreast and perhaps a bit ahead of world events, social media trends, communications trends and of course cultural, economic and political issues. Many CDR provide a reading list for their junior leaders. Now that summer is around the corner – it’s a good time to update yours. What’s a government to do? Let’s say your economy is in the crapper, your bank interest rates are around 22% and your air is so polluted that people spend most of their time on the road rubbing their eyes and stuck in traffic. 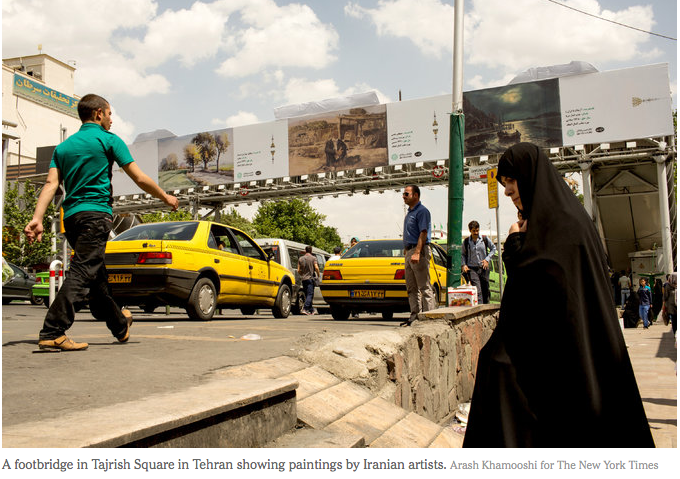 You takeover all of the City’s (Tehran, Iran) 1,500 billboards and whatever was on them – like advertisements for western products that most people cannot afford and replace them with art work. 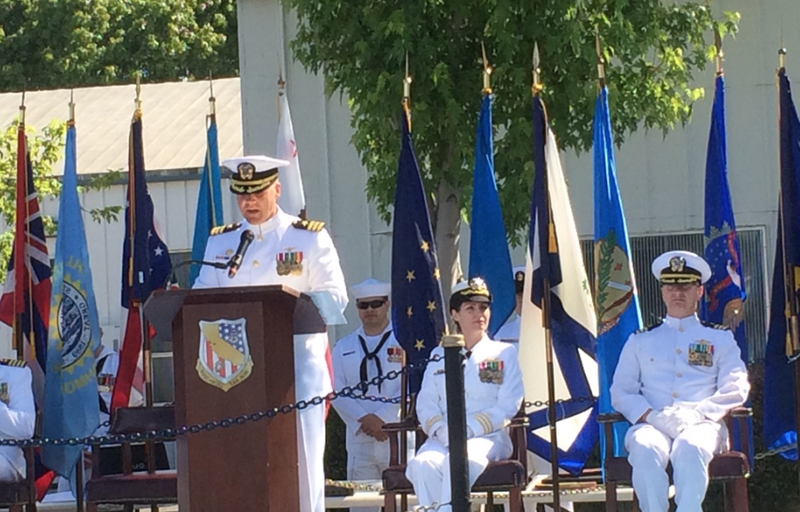 On 2 May 2015 I was pleased to attend the Change of Command for the Naval Operations Support Center San Jose (NOSC San Jose) and on 3 May 5, 2015 I attended the Relinquishment of Command Ceremony for the 7th POG. In my opinion, the Navy is the most ceremonial of the services. (For more info, see: http://www.public.navy.mil/usff/Pages/customs.aspx) Perhaps it’s because of the adaption of Royal Navy traditions from centuries ago. This ceremony took place in the parking lot of the NOSC, a complex of military looking buildings that appears to have been dropped in the middle of an economically challenged neighborhood. The recently saved trees were festooned with flags and yellow ribbons. In addition to the stage, a simulated quarterdeck was set up complete with “side boys”, a ships bell and a boatswain’s mate. Navy Commanders and Captains each rate 4 bells. The exchange of words between the incoming Commander, “I relieve you.” With the outgoing Command, “I stand relieved.” Have found their way into space because Starships are ‘ships’ and the Navy’s tradition and rank structure apply. On Sunday it was my personal pleasure to attend the Relinquishment of Command Ceremony for the 7th POG, my former unit. For those of you who don’t know, “Relinquishment” occurs when the older Commander needs to leave and the new Commander is not able to take Command. The incoming 7th POG Commander is currently mobilized and unable to take command. Any Army change of command is a big deal. The subordinate units are assembled on a parade field. The outgoing and incoming Commanders along with their mutual boss and the unit’s senior NCO move to the Center of the field. 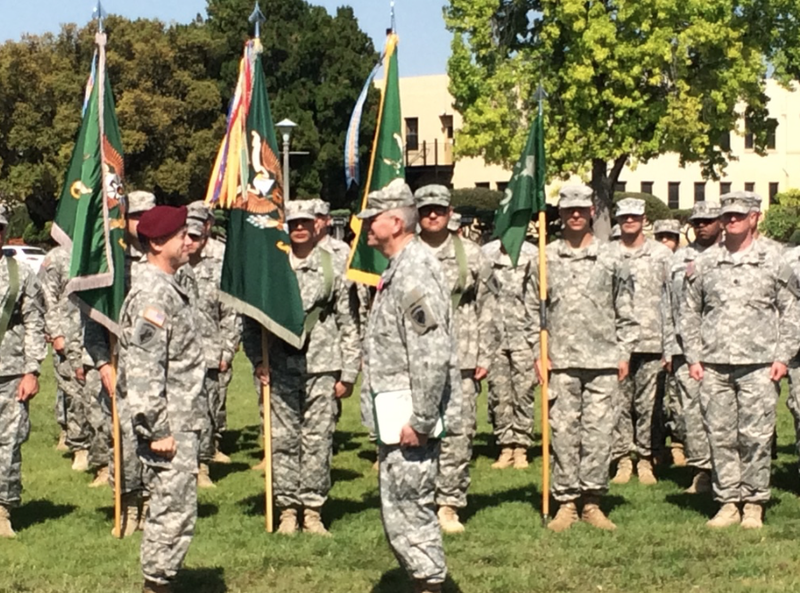 The senior NCO, typically the Command Sargent Major (CSM) brings the unit’s flag or guidon. He hands the guidon to the outgoing CDR who hands it back to his boss, who, in turn passes it to the new CDR who then returns it to the CSM. There are of course other elements of the ceremony to include awards, review of the troops, etc. These ceremonies are very reassuring for all concerned. It gives the leadership a chance to thank those responsible for the unit in the past and those about to lead the unit to set the tone for their Command. While these ceremonies take an inordinate amount of time to plan and execute. It can effectively torpedo a drill weekend, nevertheless, the traditions are the foundation of service. All of us, whether serving, active, reserve or retired need to do what we can to support these and other appropriate traditions.